Pete joined Ironbridge full time in March 2010 and has been Chair of Ironbridge’s Investment Committee since January 2008. 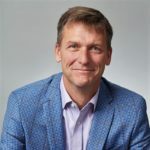 Prior to joining Ironbridge, Pete spent over 20 years at Bain & Company in their Toronto office, where he held several leadership roles including Head of the Canadian Financial Services, the Canadian Private Equity and the Americas Asset Management Practices, and leader in the firm’s Global Merger Integration Practice Area. Prior to Bain, Pete worked as an Associate at Wood Gundy, a major Canadian Investment Bank. During his time at Bain, Pete worked on a number of assignments in: mergers & acquisitions; corporate and business unit strategy; sales force strategy; pricing strategy; strategic cost reduction; and customer retention. While at Bain, he held various roles as the head of the Canadian Financial Services, the Canadian Private Equity and the Americas Asset Management Practices. Pete worked on over 75 transactions in multiple industries and in multiple countries during his Bain tenure. The transactions ranged in size from $50 million to $50 billion. He spent a considerable amount of time on these transactions supporting the pre-acquisition diligence efforts of private equity funds or strategic buyers, but the majority of his time was focused post-acquisition, working with management teams from the acquirer and the target company to realize value from the acquisition. With this experience Pete was a leader in Bain’s Global Merger Integration Practice Area. Pete currently serves as the Chairman of the Board of Frischkorn Mediaco Audio-Visual Corp., Back in Motion Rehab Inc., LaFrentz & Christenson Trucking Ltd., Hank’s Maintenance and Service Co. Ltd., and Avena Foods Ltd., and is a member of the Board of Directors of AV Gauge & Fixture Inc., Canada Metal (Pacific) Ltd., M&M Resources Inc., Thermogenics Inc., and Brooklin Concrete Products Ltd.
Pete holds an Honours Business Administration degree from The University of Western Ontario and the CFA designation.